Nashville, TN -- Jamie Dailey and Darrin Vincent of Dailey & Vincent are proud to announce that Jessie Baker will join the band as banjo player and harmony vocalist. Acclaimed banjoist and vocalist Joe Dean, a founding member of Dailey & Vincent's band, will pursue other endeavors. "We love Joe, and we're thankful for the amazing job he's done as a founding member of our band," says Jamie Dailey. "His talent has been an integral part of what we've been able to achieve and experience over the last five years." "Change is never easy for us," Darrin Vincent continues, "but we know in our hearts that Jessie will do a fantastic job for us, and we're thrilled to welcome him into our Dailey & Vincent family." Baker commented, "I've been a big fan of everyone in the group ever since I started playing, and I'm really excited about getting out on the road and working with all of them!" Jessie Baker was born in Martinsville, Indiana, on February 7, 1991. His mother recognized that even at an early age, Jessie was fascinated by music. When he was 9 years old, his grandmother bought him a pawnshop guitar for Christmas. While he was learning to play guitar, Jessie met a local musician who introduced him to the sound of a banjo, and he was hooked from that moment on! Jessie started on the road on his sixteenth birthday with Texas-based Karl Shiflett & Big Country Show. After touring with Shiflett's group for a year and a half, Baker joined Wildfire. 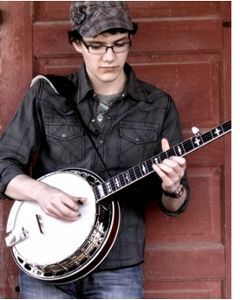 In September 2009 he joined Michael Cleveland & Flamekeeper, with whom he won three IBMA awards, including two Instrumental Group of the Year trophies and Instrumental Recorded Performance of the Year. In February 2011 Jessie joined the award-winning Doyle Lawson & Quicksilver and recorded two albums with the group.